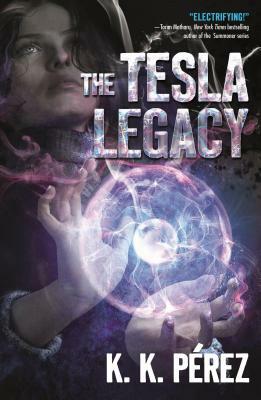 An action-packed, young adult coming-of-age adventure, K. K. Perez's The Tesla Legacy follows a precocious young scientist named Lucy Phelps whose fateful encounter in the Tesla Suite of the New Yorker Hotel unlocks her dormant electrical powers. As Lucy struggles to understand her new abilities through scientific experimentation, she is thrust into a centuries old battle between rival alchemical societies. K. K. Pérez is a half-Argentine/half-Norwegian native New Yorker who has spent the past two decades living in Europe and Asia. She holds a PhD in medieval literature from the University of Cambridge and has taught at the National University of Singapore and the University of Hong Kong. As a journalist, she’s written for many international news outlets including the Wall Street Journal Asia, Condé Nast Traveler, and CNN. Her first nonfiction adult title, The Myth of Morgan la Fey, was published by Palgrave Macmillan in 2014. Sweet Black Waves is her debut fiction novel.